to discover that brought you here. Ask for guidance. You are one and many. Your imagination is the key. You always had it. It is always time to flow. You are the judge of your life. You are the lover of your life. You are the wise ruler of your life. You are the fool of your life. You can sense the tone. Your body is signaling to you. Your spirit is uplifting you. Don't let your mind use you. Don't let anyone else's mind use you. Your will to remember your lovestory is enough. Your pure, radiant tone is always there. A signal for a way back home. Collective vs. individual in today's thinking (marxism, socialism, feminism and many other isms.., "utopianism"). 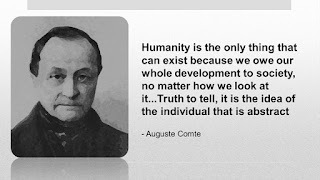 Auguste Comte was the founder of positivism, influenced by utopian socialist Henri Saint-Simon and was a great influence on 19th-century thought. Comte influenced Karl Marx, John Stuart Mill etc. The word "altruism" is attributed to Comte for being the originator. Again altruism ("you before me" which eventually empties the "me=I" (individual immersing into the collective). TODAY'S SOCIETAL THINKING IS CULT LIKE.